Let’s separate fact from fiction today with some expert insight, useful coaching, and healthy credit tips. It’s time to debunk some credit falsehoods and teach you the facts about your credit score and credit report. Hey, it’s not an easy thing to do; managing your credit is an ongoing task. 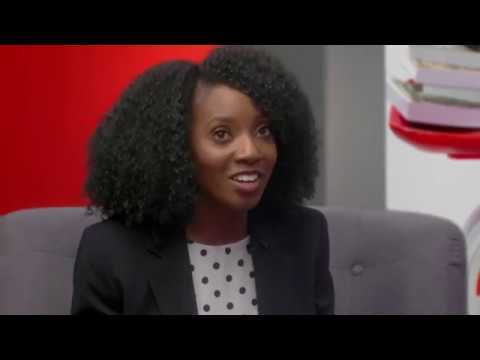 That’s why Tonya Rapley, State Farm® Agent Stephanie Fetzer, and Next Door® Financial Coach John Supple arm you with the knowledge you need to get and maintain a healthy credit state-of-being in this course. Credit Myths: Discredited equips you with tools, support, and education specifically designed to help set you on the right path to improving and managing your credit. Tonya, Stephanie, and John perform a lively round robin of a dozen true or false credit questions. How will you score? Watch the video and you’ll be enlightened by the facts! Breaking down Credit Myths: Discredited. Learn what goes into your credit score so you can find ways to improve it. Get the Credit Myths: Discredited Worksheet downloaded as soon as possible. It works as a guide and offers space to take notes as you get on the right track to achieving a healthy state of good credit. Credit affects nearly every potential big purchase you’ll make and impacts just how much things might cost – based on your credit score and report. Knowledge is the first step! Without any further ado, let’s get started and see what you truly know about the world of credit. Get a grasp on credit. Credit is all about measuring how responsible you are with money. Lenders want to know what your track record is at paying back loans and if you make payments on time. So, for example, when you’re looking to get a loan for a car or personal line of credit, the lender is going to take a close look at your credit history. They’ll start by looking at your credit score. Credit scores range from 300-850. A higher credit score plays in your favor. Budgeting Tip: Your credit score isn’t carved in stone; do what you can to improve it. For starters, schedule online payments to help you pay bills on time. Watch the video above and listen to some great tips for improving your credit score. Peek behind the curtain for the truth about credit. Credit myths are a dime a dozen. While some are true, there are many that are far from it. The fact remains, everyone you run into seems to have their own take on what lenders are looking for. What’s more, there are a ton of rumors about how anything and everything affects your credit score. Knowledge is the key to learning what’s true. Watch the video and download the Credit Myths: Discredited Worksheet to help you figure out how to handle your money and credit well. Set your credit straight with a few tips. The great news about managing your credit is that it’s completely doable. It may seem intimidating at times, but you can make big strides in the right direction with some discipline and planning. This section of the video walks through key tips for success on managing credit. From helping you form good habits to finding ways to curb the bad ones, this chapter does a great job setting you up to achieve your goals. Budgeting Tip: Pull one credit report every four months. Spacing out your requests helps you monitor changes throughout the year. The word of the day is: Credit. Here’s a quick lay of the land to help show the interplay and differences between credit scores, reports, inquiries, and bureaus. Credit reports house the information that determines your credit score. Any hard credit inquiries made on your report could impact your score, whereas soft inquiries typically don’t. Credit inquiries comprise 10 percent of your score. The three major credit bureaus each have their own version of your credit report. You can check out what information they have for free at AnnualCreditReport.com. Budgeting Tip: Unless you and your significant other hold joint accounts, your credit report and credit score are yours and yours alone. More credit vocab to keep in mind. Stay up on key terms and vocabulary so you can know what moves to make next. Think credit card. A revolving account doesn’t have an end date. You have a credit limit and must make payments toward the balance each month. Think student loan or car loan. Installment credit is a loan that’s repaid over a defined period of time. An account in which one person is responsible for the terms and payment obligations. This is an account opened by two people who share the terms and payment responsibilities of the account. An authorized user is someone to whom the account owner gives permission to use an account. The account owner, however, is ultimately responsible for payment. The Credit Myths: Discredited video handles these topics in brilliant detail. Swap watching a TV show to watch this video, download the free credit tools, and make a plan to handle your credit. Let’s start forming great credit habits today. Learn what goes into your credit score so you could find ways to improve it.